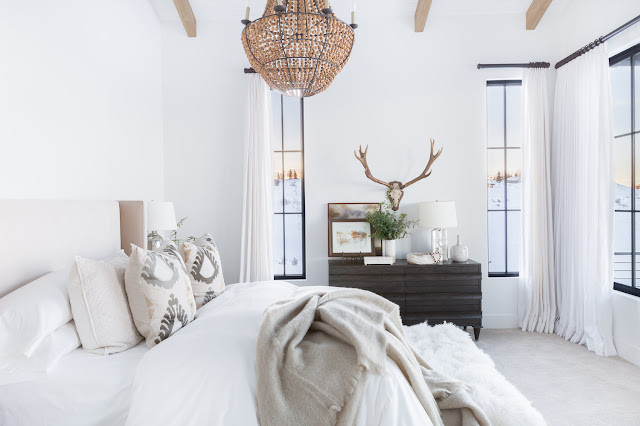 This mountain ranch home by Nicole Davis Interiors was featured in Elle Decor and I can see why!I love the mix of rustic and modern in this home, the use of weathered woods and metals, just about everything. Similar rug can be found here.Similar blanket here. This gallery wall is just too good. I love how it wraps around to both walls.Similar frames here.You can find a great selection of vintage style lighting right here.